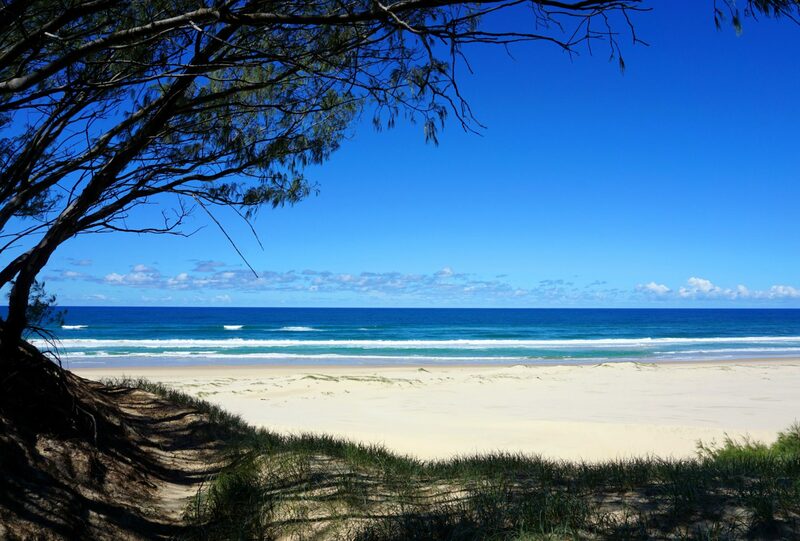 South Stradbroke Island is located a stone’s throw away from the Gold Coast. This narrow, long island is a peaceful break away from civilization with pristine beaches, natural vegetation and lots of wildlife. Although technically you can visit the island on a day trip, I strongly urge you to stay longer if you can. I spent two nights on the island, but my sister has travelled to the island on numerous occasions during the past decade. My tips and recommendations are based on my own experience, but also her insight. 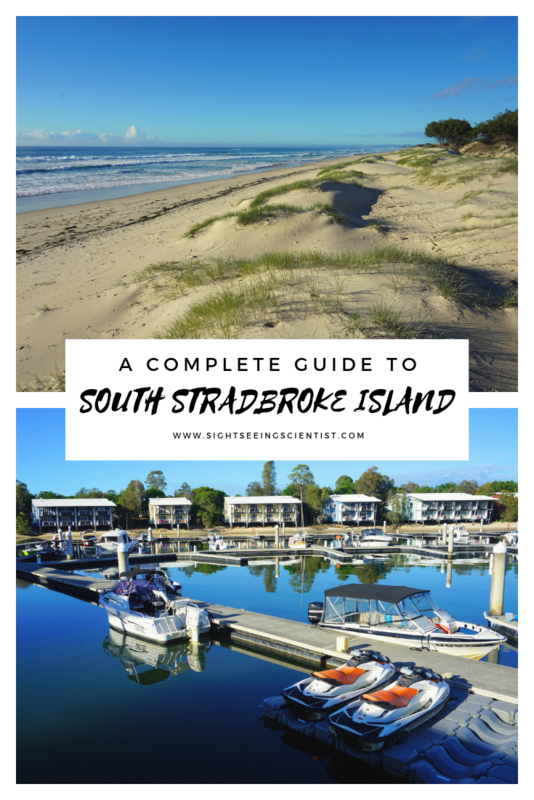 Here we go, everything you need to know about visiting South Stradbroke Island. The suggestions below are based on my stay at Couran Cove Island Resort, located on the western side, more or less in the middle of the island. Daytime visitors also have access to these facilities. The majority of activities on the island are in or around Couran Cove. The resort offers paid activities too like renting jet skis or segway tours, but below I’ll focus on the free (or almost free) things to do on the island. 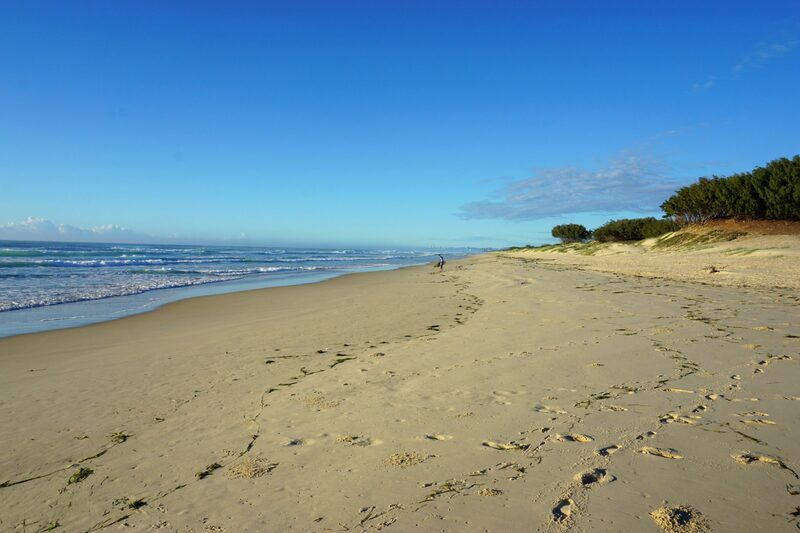 The best feature of South Stradbroke, for me, is the unspoiled beaches on the eastern side of the island. Kilometres and kilometres of white sandy dunes and beautiful blue water. If you do decide to go for a swim, just be mindful of the currents. The waves are great for surfing too. My favourite part of the island: the unspoiled beaches. You can get a kayak or stand-up paddleboard for free and explore the waters of the shallow lake surrounding spa island. No doubt you’ll see a couple of fishes and perhaps a stingray. There are two swimming pools on spa island, a shallow children’s pool, and a lap swimming pool. The lap swimming pool has a couple of floaties and offers games, like water polo, to keep the young ones occupied. With the exception of resort vehicles, South Stradbroke is car-free. The best way to get around the island is via bicycle. Now, you don’t need a bike, but I highly recommend it. A bike just makes getting around the island so much easier. For example, the beach is just over two kilometres from the resort which is definitely a walkable distance, but the trip is just so much faster and convenient on a bicycle. 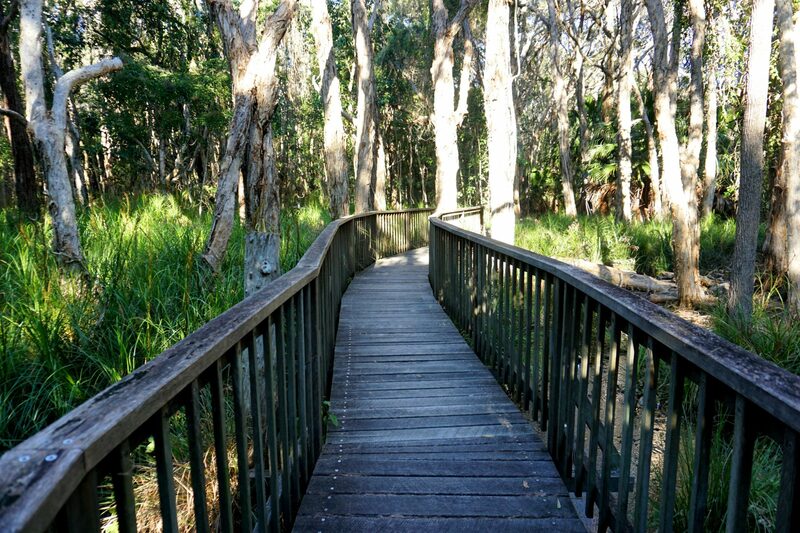 South Stradbroke Island is home to numerous hiking trails. The closest one to the resort is a forest walk among trees and swampy water. The walk isn’t particularly scenic and as you can imagine, the trail is full of mosquitos. But the tall trees are impressive! Walking trail through the forest. Fishing is permitted in certain areas on the island. It’s best to bring your own bait along or gather pipis to use as bait during low tide. 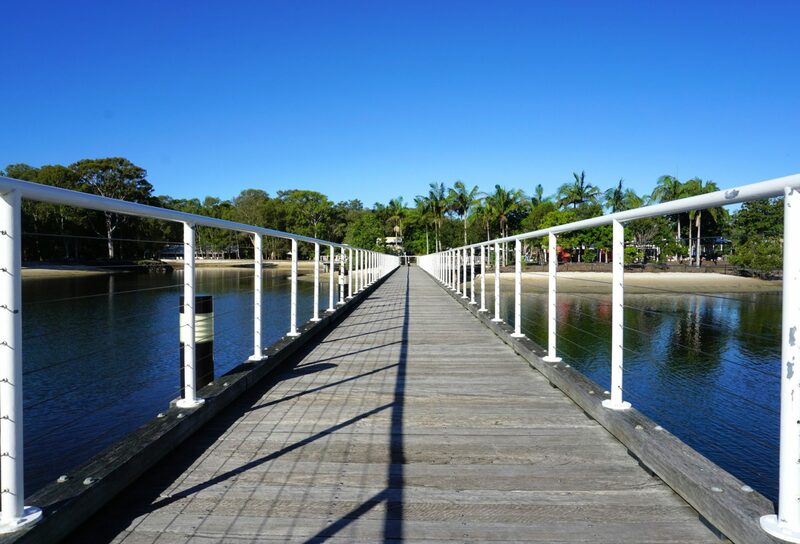 You can expect to see a lot of wildlife during your visit to South Stradbroke Island. It’s home to a number of bird, mammal, frog and reptile species. I loved the wallabies. They were everywhere, even on the beaches. 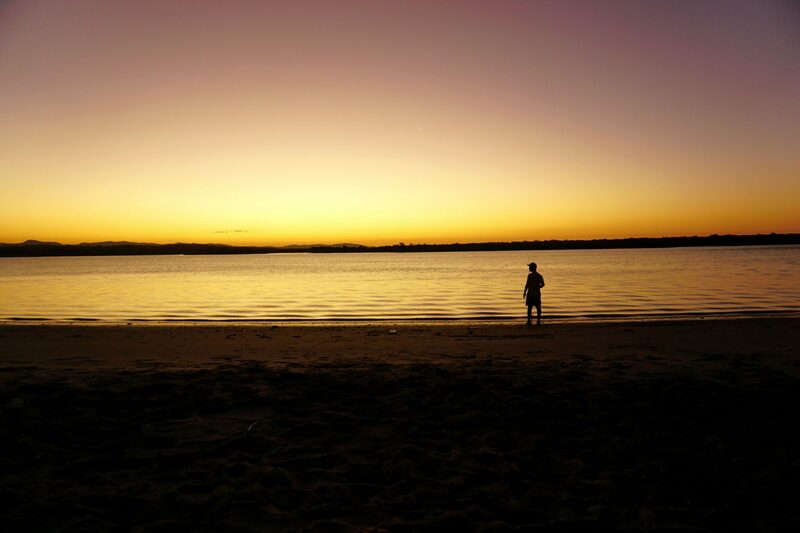 For the best sunset view, grab a drink and head on over to Sunset Beach. It’s located on the western part of the island. As the sun is setting, it bathes everything in orange and golden colours. You can head to the eastern part of the island too, but instead of the sunset, you’ll see beautiful soft blue and pink hues in the sky. The name says it all, Sunset Beach. Your options for dining on the island is confined to the eateries at Couran Cove, so I highly recommend that you bring your own food along and make the most of the self-catering facilities. If you’d rather eat out, you have three options. Located right next to the resort reception, Marlin Bar & Bistro is your fine-dining option on the island. It’s very pricey with mains starting at $40 (AUD). Also, it’s the only bar on the island that serves cocktails. I can’t speak to the quality of the food because I didn’t eat here. Need a caffeine kick? Then Café Couran is your best option. Apart from drinks, the café also serves light meals and snacks. In my opinion, it’s the best affordable dining option on the island. The café serves mostly burgers and chips, a couple of salads and kids meals. The burgers were tasty and the chips were well seasoned and crispy. Burgers and chips go for around $20. You can find the Poolside Cafe on Spa Island. 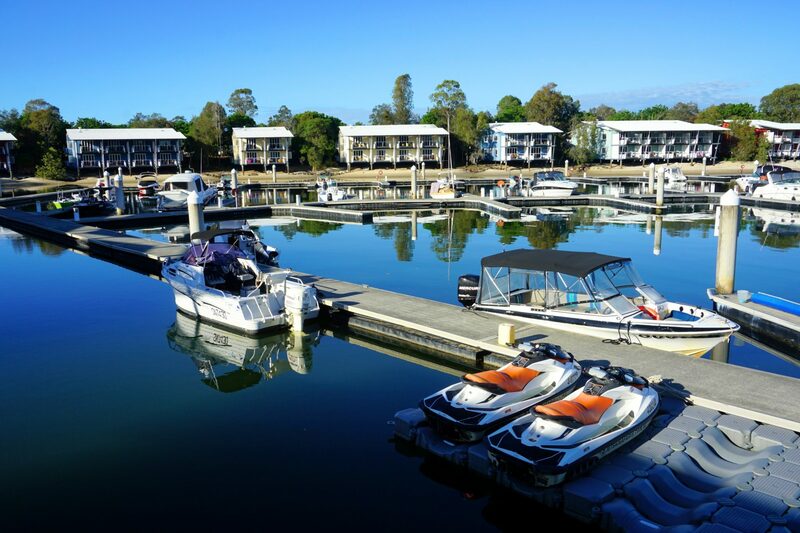 When it comes to transport to South Stradbroke Island, you have a couple of options. If you have your own boat, just head on over. Those without access to a boat have two options: ferry or water taxi. The ferry departs from Hope Harbour and a return ticket for an adult is $38. Note that you’ll be charged extra for surfboards and eskies (coolers), and bicycles are not allowed on the ferry. You have to book your tickets here in advance as space on the ferry is limited and it fills up quickly. 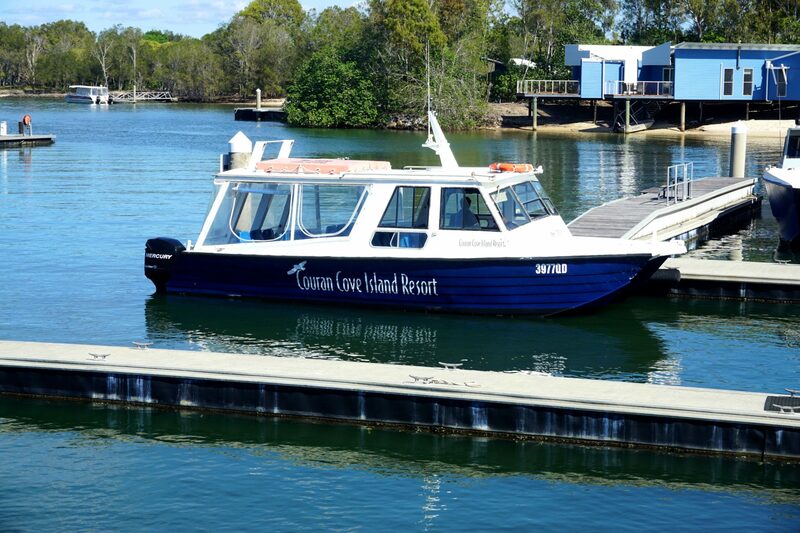 The Couran Cove Island Resort ferry. If you’re travelling with four or more people, I’ll strongly advise you to book a water taxi instead of taking the ferry. 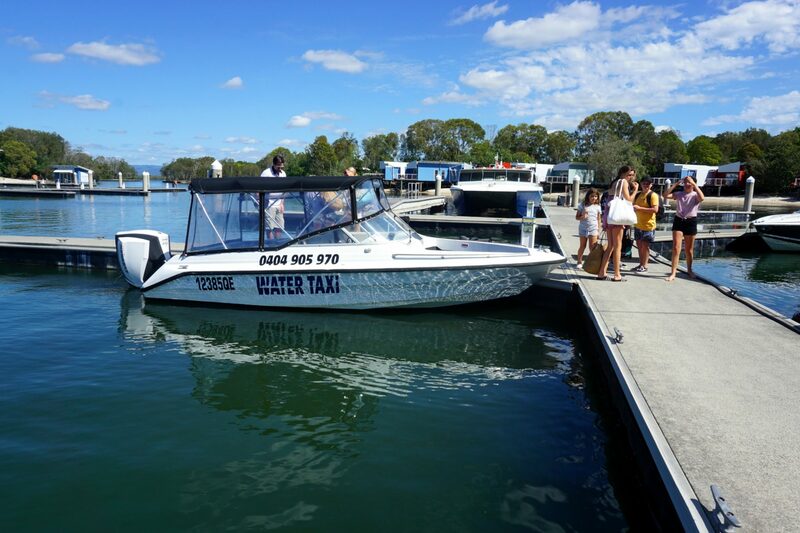 We used Steve’s Gold Coast Water Taxis & Tours, and I highly recommend this family-run business. A one-way trip from Marina Bay to South Stradbroke Island costs $80 and the boat can accommodate 12 people without luggage or 8 people with luggage. The ride takes about 10 to 15 minutes. 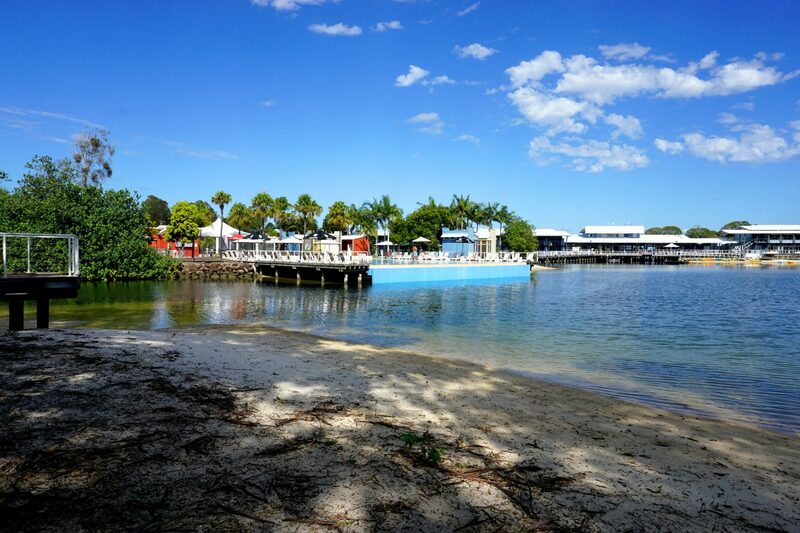 Steve’s Gold Coast water taxi & tours. The best way to get around the island is via bicycle. Most of the privately owned apartments will have bikes, or else you can hire them from the bike shop. The island has a lot of mosquitos, so remember to bring mosquito repellent. You’ll definitely need it. Sunscreen is also a must. Obviously. Bring your own alcohol along too, because drinks on the island are expensive. Although the resort has a general store, the prices are, as expected, inflated and the variety is limited. It’s good for buying snacks, but not much else. The free WiFi at the pool and resort reception is decent. Because most of the apartments are privately owned, the resort never feels crowded, which is lovely. Staying on the island for 2 to 3 nights is perfect. Anything longer than that and you might run out of things to do, especially if you have teenagers with you. The harbour at Coral Cove Island Resort. The resort has so much potential, but unfortunately, a lot of the facilities have been neglected. 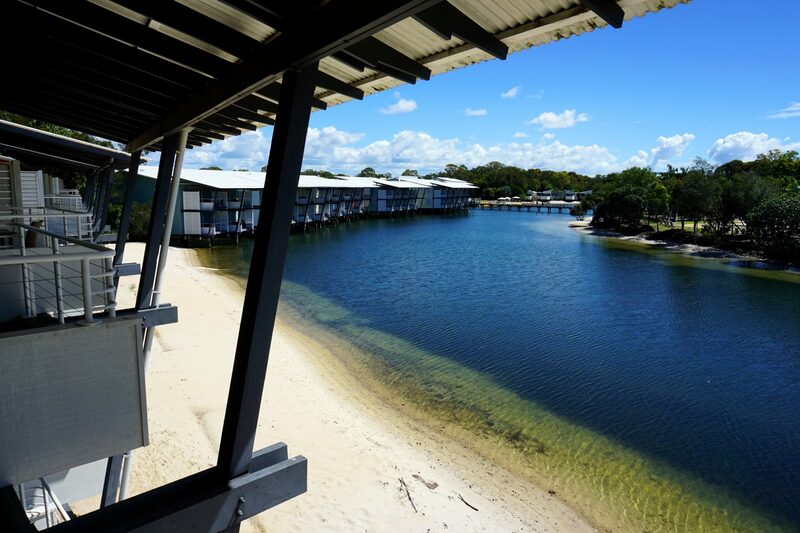 Don’t get me wrong, I love South Stradbroke Island, but the resort itself needs some serious TLC! For example, the tennis, basketball and volleyball courts are all dilapidated. The sports complex used to have table tennis facilities, but it no longer does. Also, the forest walking trail has an impressive lookout tower, but at the time of my visit, the tower couldn’t be climbed. It’s the little things that can make a huge difference. The general store didn’t sell bait. More dining options would be great, or just more variety. I wouldn’t describe the resort as luxurious though, and if that is what you’re looking for, perhaps this isn’t the place for you. 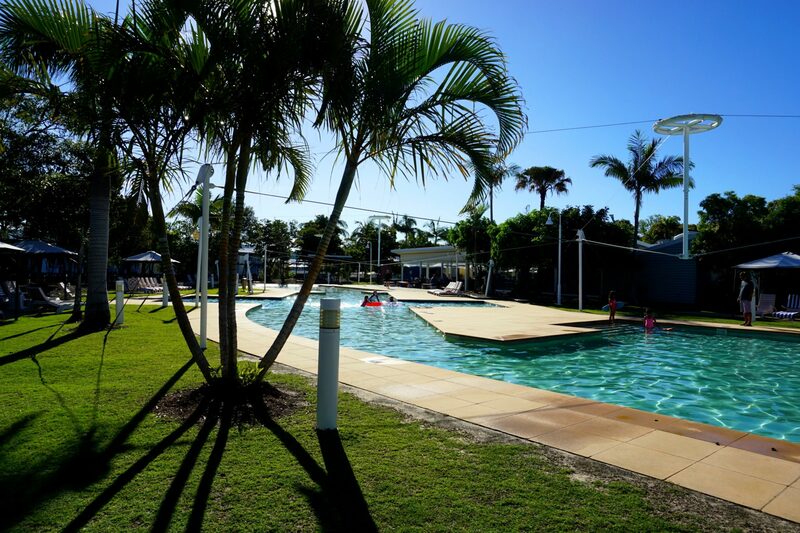 But if you’re looking for a quiet, comfortable retreat from the hustle and bustle of the Gold Coast (and a break from technology) with lovely beaches, this is the place for you. 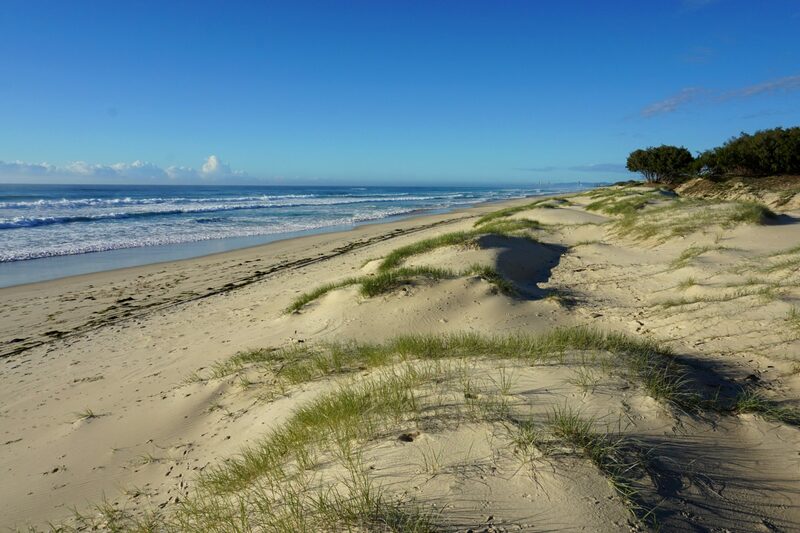 South Stradbroke Island is beautiful and definitely worth a visit.